This is a group I play with for certain concerts hearkening back to the old days when tenor sax players would play together in harmony and going one-up on each other. Willis ‘Gator’ Jackson, Sil Austin, Gene Ammons, Eddie ‘Lockjaw’ Davis, Stanley Turrentine, Coleman Hawkins and others would go long into the night playing this ‘Battle Royal’. 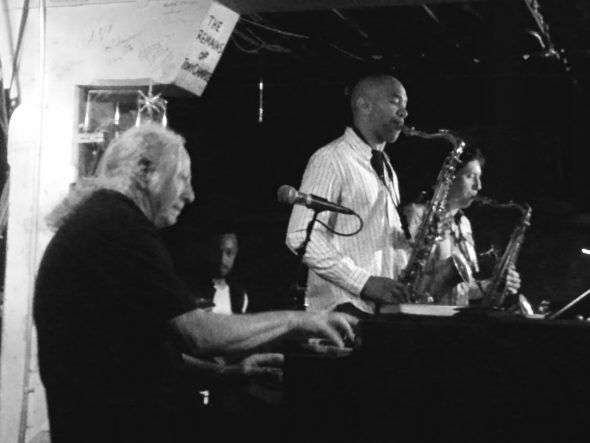 Red on Hammond organ, a drummer and two tenor sax players. It’s a lot of energy and fun to watch!